Research Division of the Oklahoma Historical Society. Troops drilling shortly after the Run of '89. 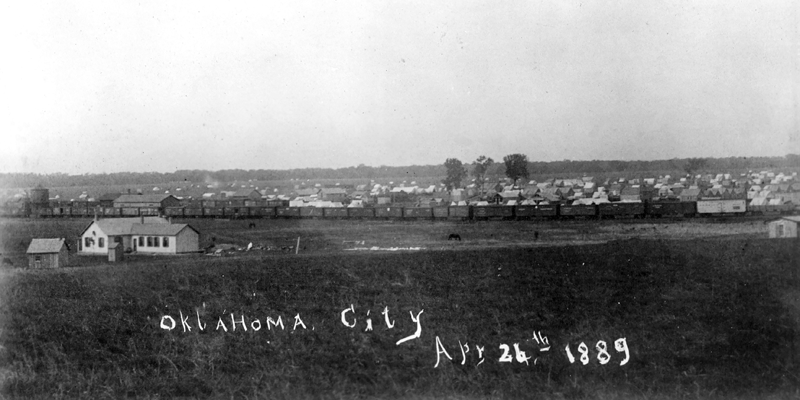 Oklahoma City and Guthrie, a dozen other towns, and thousands of farms were settled in a day. 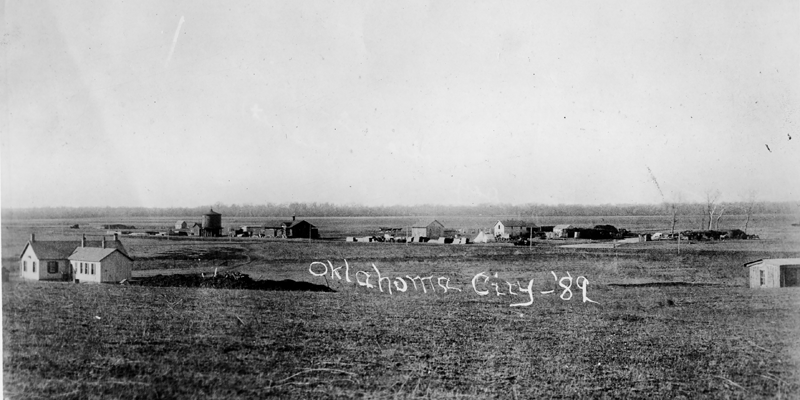 The Run of '89 gave birth to Oklahoma City, which today is the state's capital and largest city. It also marked the beginning of Guthrie, where the land office registered claims. Guthrie served as the territorial and state capital from 1890 until 1910 when it was unceremoniously removed to Oklahoma City. 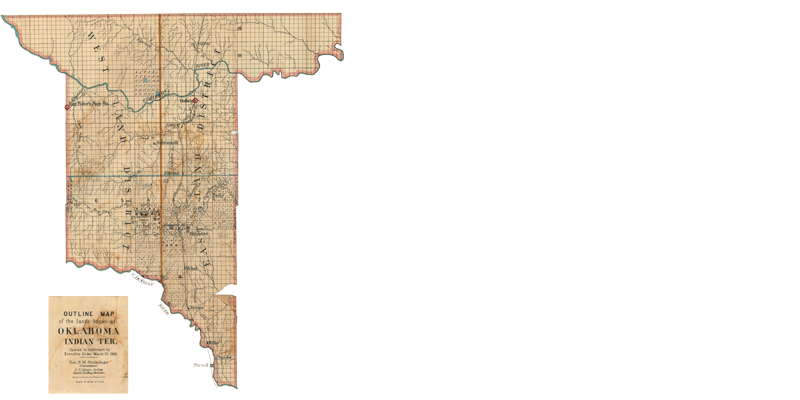 At least a dozen towns were established in the Run including Edmond, Norman, Kingfisher, and Stillwater. Most were near railroad or stage stops thought to be prime locations for future cities. For months before the opening, excitement spread across the country for the opportunity to claim free land in Oklahoma. Opportunists, speculators, and drifters from every state made their way to the Kansas and Texas borders. Prospective townsite companies were organized to speculate on the sale of town lots. Eligible settlers included men over age 21, whether or not American citizens, women married or over 21, and children accompanied by eligible adults. Those who had visited the land before were required to retreat to the boundaries at least three days before the opening. As the fateful day approached, thousands of people gathered their belongings for the mad dash across the prairie.